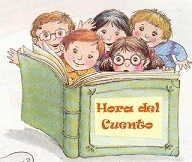 For our Spanish speaking families, this Spanish story program is for preschool children through 9 years of age, and will consist of stories, fingerplays, and songs. A parent or caregiver must attend the program with children under 3. The program is not designed to teach you Spanish. No registration necessary.